Beautiful lilac-breasted rollers (Coracias caudatus) are one of my most favourite of the African birds. This was was perched in a dead thorn tree at Lake Ndutu, Serengeti, Tanzania. What a beauty - lovely capture of the feather colors and detail. Marvelous. Somehow its spiky feathers seem in keeping with the spiky branches. You did a wonderful job capturing the details of this Lilac-breasted roller. Excellent shot. Love the colors of the feathers. Very pretty. 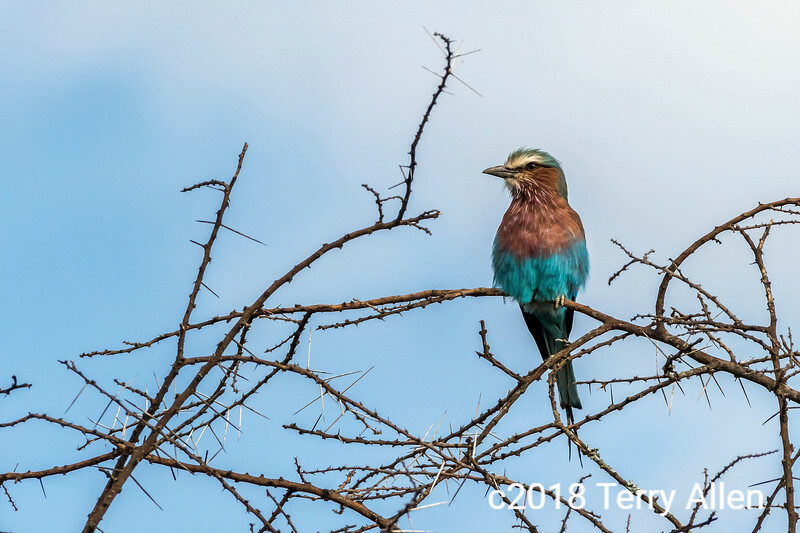 This roller is a beauty, and lucky he was in a thorn tree, no leaves to hide him.